The Hamilton Public Library Board voted unanimously Wednesday evening to increase library hours at five branches, and extend Sunday openings until the end of June starting in 2018. Most library branches are only open five days per week; with closing days on Sunday and Monday or Friday. The changes come into effect in September. HPL’s Barton branch will open on Fridays from 10am to 6pm. The Dundas and Red Hill branches will now open on Mondays, with Red Hill hours from 1 to 9pm, and Dundas open from 10am to 6pm. 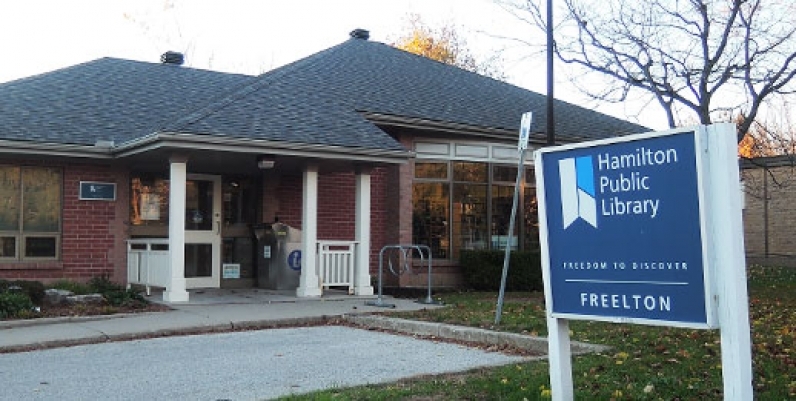 Staffed hours will be extended at Freelton from 17 hours per week to 24 and the branch will open extended hours with remote support as part of a rural branches pilot for a total of 43 open hours per week. Study Hall hours at Terryberry Library will be extended to four days per week, Monday to Thursday, starting in September. Users will need to register and agree to a terms of usage. The four libraries open on Sundays will now operate Sunday hours from the weekend after Labour Day until the end of June. Those branches are Central, Dundas, Red Hill, and Turner Park. Sunday hours will exist at the temporary Dundas branch during the ongoing renovation of the permanent branch building. The Library Board will look at implementing Sunday hours at the Waterdown and Terryberry branches as part of the 2018 budget request to Council. Both Councillors Judi Partridge and Terry Whitehead have expressed a desire to see Sunday hours in their libraries.